Product prices and availability are accurate as of 2019-03-22 07:57:02 EDT and are subject to change. Any price and availability information displayed on http://www.amazon.com/ at the time of purchase will apply to the purchase of this product. Have you ever left your home without turning off power switch? Have you ever imagined the lights and music in your home to welcome you in? Now we present you Sendow smart power strip, with which you will enjoy the benefits of smart, what you want have achieved. 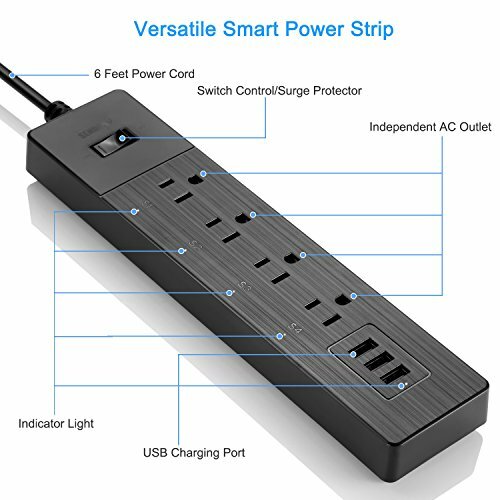 as long as your phone (or other smart devices having a Smart Life APP) has connected internet and so does the power strip. Have you ever met that you want to let some outlets on while others off but can not only with one power strip? This Wifi smart socket helps you solve this problem once and for all. You could manage 4 AC outlets freely with your smart device. Simple, intuitive App interface tells you which jack is charging or not. 1. Please do not touch the power supply with wet hands. 2. Do not place the power strip near fire or other high temperature objects. 3. The 4 AC outlets can be controlled individually but the 3 USB ports can not. 4. Designed for surge protector function, the switch button might be relatively loose, but will not affect the performance.
? 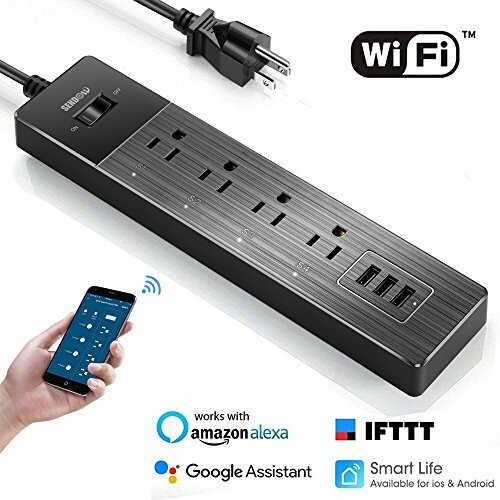 SMART CONTROL - Control the smart power strip by using "Smart Life" app, enjoy controlling your home/office appliances remotely using your phone, set timer/countdown/different themes to control multiple devices as you wish. ? 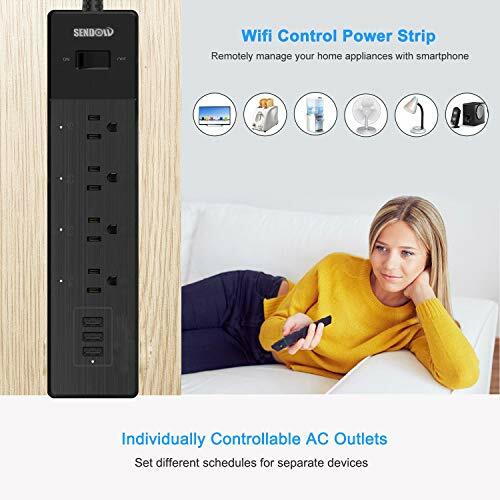 ALEXA/GOOGLE VOICE CONTROL - Sendow smart power strip is compatible with Amazon Alexa/Google Home Kit, control any of the 4 outlets separately or the whole strip together by telling your smart home assistant. (NOTE: Please check the description section for detailed information) ? INTELLIGENT FAST CHARGING - A smart power strip with 4 AC outlets plus 3 USB charging ports gives you the ultimate freedom to power 7 electronic devices, and the intelligent fast charging technology also assures you a fast, steady and safe charging current. ? ULTIMATE SAFETY - Equipped with surge protector and Push-to-Reset circuit breaker, making your appliances worry-free while charging, it will switch off automatically once overloaded/overvoltaged, and fire-proof ABS coating material ensures there is zero fire hazard in your house. 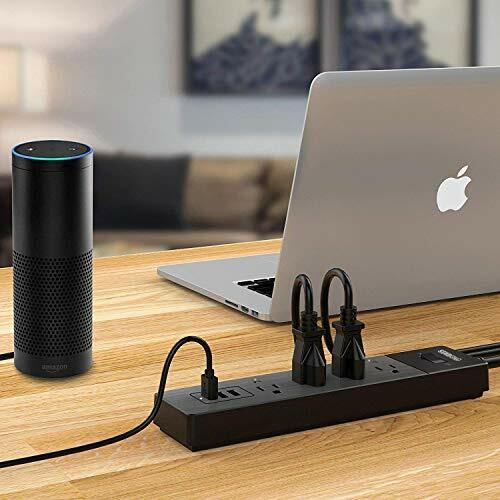 Offer you the convenience of a smart lifestyle while guarantee you with the down-to-earth high quality power strip. ? 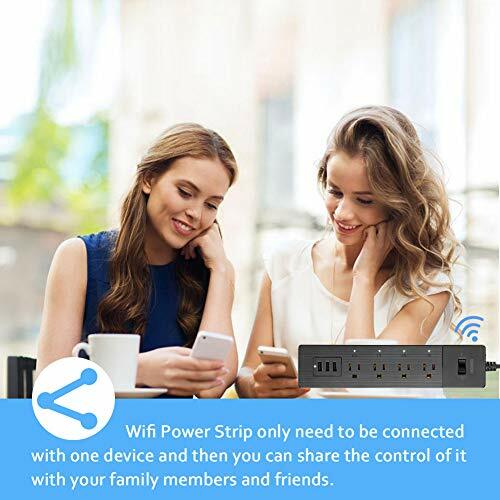 WORRY-FREE WARRANTY - SENDOW smart power strip passed FCC & ROHS certificates, enjoying a modern & convenient lifestyle with this wifi smart power strip. You will get a 1-YEAR warranty service, professional customer service & any assist during usage via Sendowtek@hotmail.com.